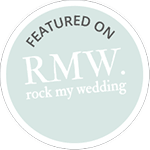 We had a fairly last minute booking to play at the wedding of Wen and Martin at the Burley Manor Hotel. 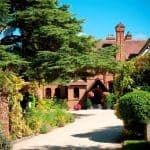 The Burley Manor Hotel is in the New Forest and is on the outskirts of the lovely village of Burley. 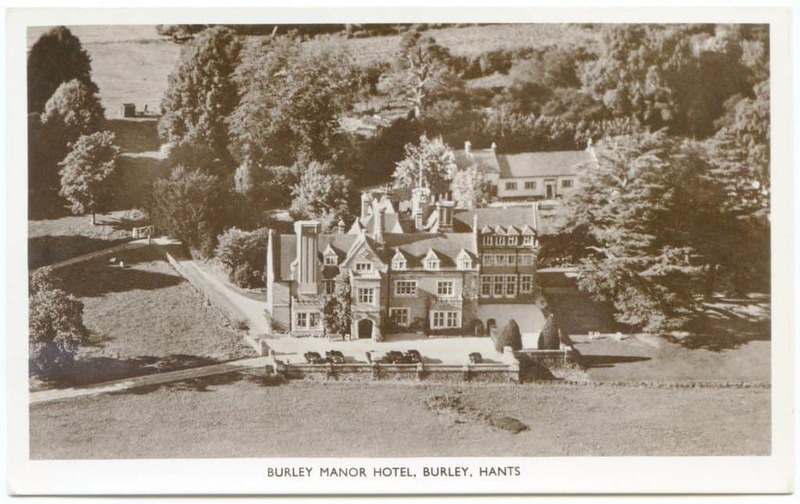 Burley Manor Hotel is a lovely location – a short stroll takes you right from the grounds down to the village green. 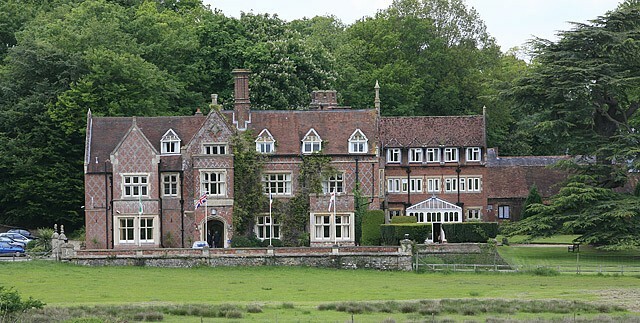 Burley Manor’s first recorded owner was Forester Roger de Burley way back in 1212, before the lands were forfeited to the crown. Following this the manor has passed through many owners before the start of the next chapter of its history and restoring this historic beauty back to glory. By 1935, the manor had become a hotel and it has served guests ever since, apart from a short spell as a military HQ when it was requisitioned by Lord Montgomery during the war. 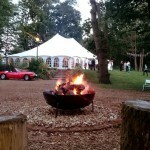 Wen and Martin had booked us to play for their ceremony and their drinks reception afterwards. We played some requests as the guests gathered, some Radiohead, Blur and The Carpenters. Oh and some Mozart too! Wen walked down the aisle to Mendelssohn’s Wedding March, and it was a really lovely moment. In the signing of the register we played Elton John’s Your Song, and Beach Boys God Only Knows. For the Recessional, Wen had asked for something a little different. She had requested a Singaporean pop song called Fortune Cookie of Love. It was one we weren’t at all familiar with, and amazingly Wen was able to send us the string quartet sheet music. 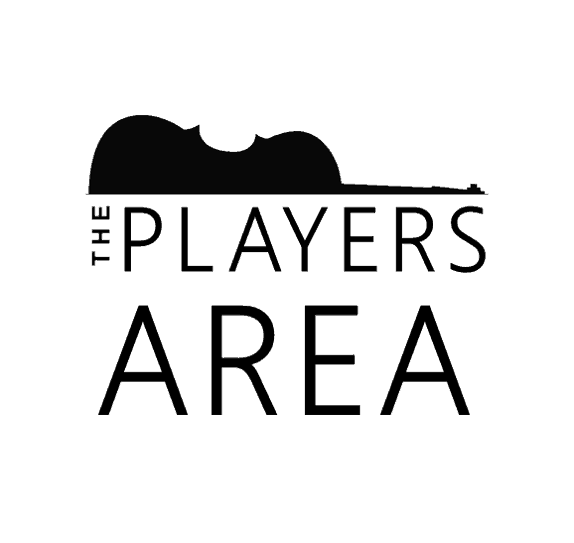 We are sometimes a bit cautious about receiving sheet music from our clients as, depending on their musical knowledge, the music isn’t always up to our high standard of arrangements. A quick look through the music that Wen had sent over and we knew it would be fine, and we were happy to take along the music to play. 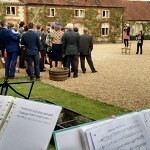 We think it’s a first having the couple give us some sheet music to play from for a customised arrangement! 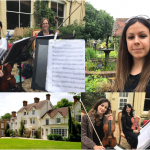 We then enjoyed playing a wide variety of music for the drinks reception at Burley Manor Hotel. 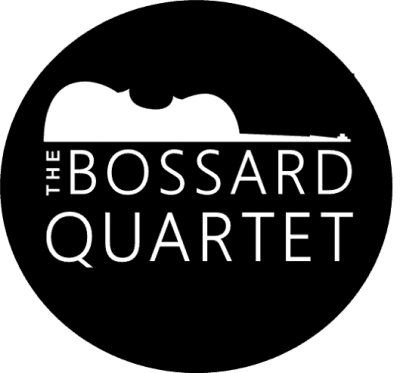 ⟵What can’t you ask a string quartet to play?